Given the number of wild and fast Civics present at Tsukuba Circuit for last month’s Attack event, there was no way I couldn’t spotlight at least one Honda hatchback that was competing on the day. And it was this EG6 Civic SiR that stood out most to me, primarily because it hadn’t sacrificed looks in the pure pursuit of speed. Not that it was slow by any means mind you; it actually managed a 58″140 lap, which is serious stuff. It’s just that visually-speaking, I guess I found it more pleasing to look at. 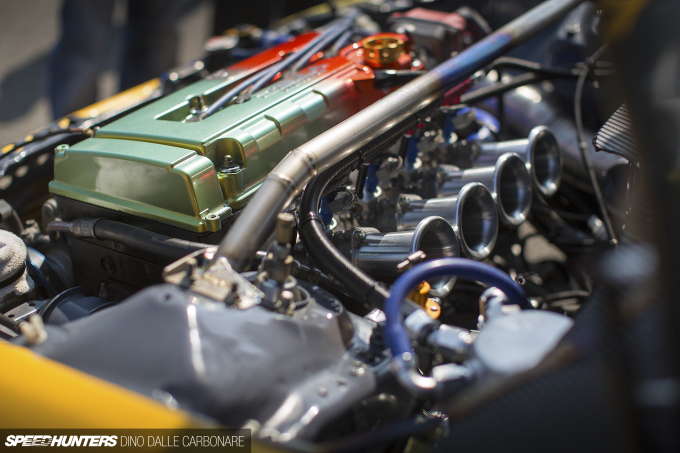 Under the bonnet there’s 262PS of pure naturally aspirated glory, which as you can imagine sounded amazing at full noise. The B18C runs a quad throttle body setup breathing through velocity stacks to really get the most out of the fully-built motor. But don’t take my word for it – hit play above and hear the sound for yourself in this video the driver took of his best lap to date in the Civic. I really like the smooth look of the bumper; it’s simple with a little air dam to flow just the right amount of air towards the coolers. Aside from the subtle looking front lip spoiler and the wing out the back, there’s no more wild aero to speak of. When your car hits the scales at just 780kg, braking is not really a big issue; these 4-pot Spoon/Nissin calipers are more than capable of hauling the EG6 down from speed. The Civic seemed to have a ton of grip, and it looked like the key to nailing a fast lap was more about smooth driving and bringing as much speed into a corner as possible. That’s quite different from the big-power cars which are just struggling with grip and traction most of the time. Driving a lightweight powerful car like this is all about finesse. One look inside and you see what serious weight stripping looks like. 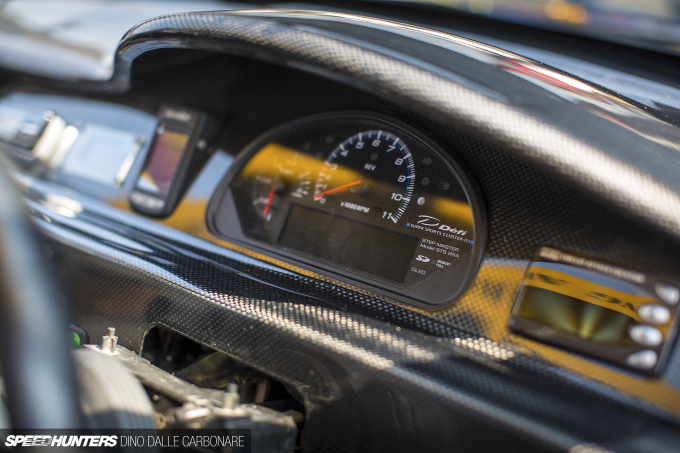 But at least they’ve kept it clear with a lightweight carbon fiber dashboard to cover up all the ugly wiring. Function and form were both obviously important aspects of this build. Check out how nicely the Defi Super Sports Cluster has been integrated in the dash layout alongside a few other pieces of gadgetry. With this rear shot, my coverage from the very cool Attack event at Tsukuba has come to an end; I hope you guys enjoyed checking out some of the cars I came across. 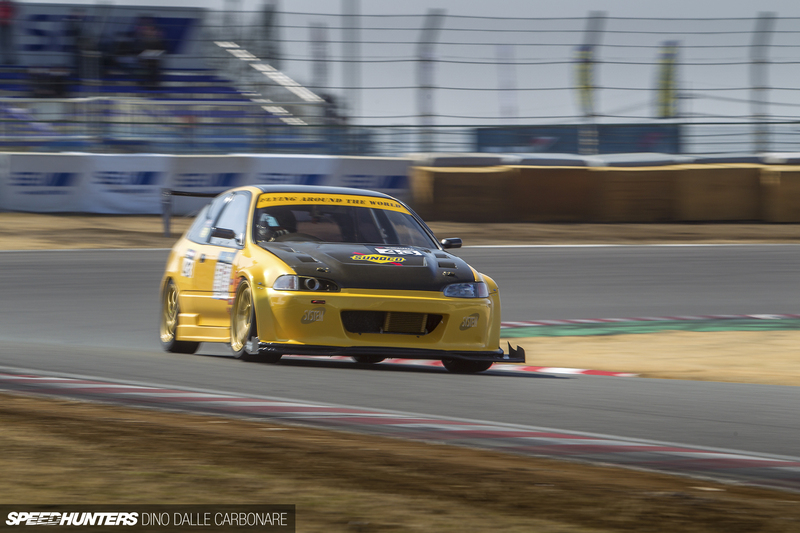 Now we just have to wait until the end of the year to see more Japanese grassroots grip racing awesomeness! StephenHubert Right! That A pillar looked slimmer than usual as he's going through that last corner I have to say. I have always felt safer in a race-car than a road car, between the harness, seats and cage it's like a little cell - I'm sure it's mostly a mental thing but I couldn't go really push a car hard knowing that getting a tire in the dirt and going into a barrel roll will be my timely end - the cage puts me at ease and gives me the confidence to push those thoughts out and focus on driving. I guess it comes down to the driver with bigger balls at the end of the day. 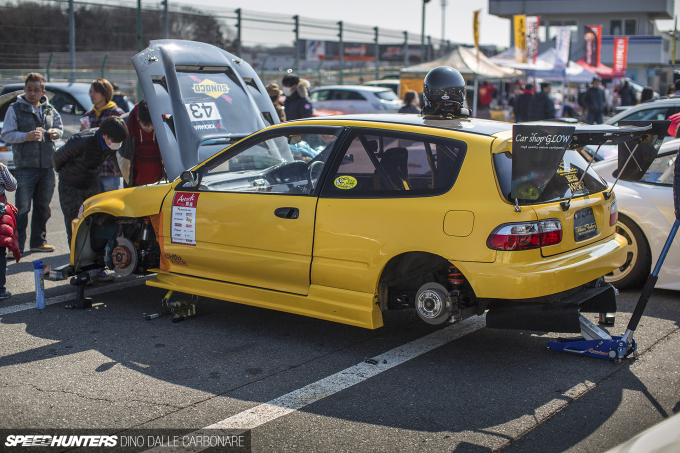 Great feature and very impressive little EG. I wonder what the buy boys must think when all that aero, awd or 4 times the power only gets you a couple seconds ahead of a FWD 4 banger but that's where the fun of TA really is and getting the most out of what you got! Keep em coming Dino, I love all of the Japanese track action and all the cool features that come along! well done, it almost feels nostalgic to see a movie clip of a driver changing gears manually. Unusuall to see they are using american parts like the MSD. Very mean little hatch do. I love it almost as much as the SH front page update being fixed. Thats mad! So so quick! DAT LAP THO! Seriously, that dude's line has literally nothing left in it...He's wringing that car's neck about as far as it could possibly go. Massive props to this guy, Colin Chapman would be nodding with approval. Has to be one of the best sounding B-series I've ever heard! No loud rasp from the engine note but more of a lower tone. I remember reading that the Garage Work EG6 has custom gear ratios in the trans. I wonder if this car folllows the same formula? 262 PS out of a NA B18c is not bad . Wonder if they built that dashboard themselves or if it's available for sale somewhere. 262 hp!! With 780 kilos! Thats business. i was just listening to the video in my study hall class and closed the you tube link by it still was playing in the speed hunters website and i unplugged my earbuds and my laptop released the song of a 10 thousand+ reeving monster. Been ages since I heard a B engine again. Last time was when my friend was pulling on the highway a year ago. Sounds good all time. I believe that time is just ahead of the Garage Work EG also? Impressive stuff. 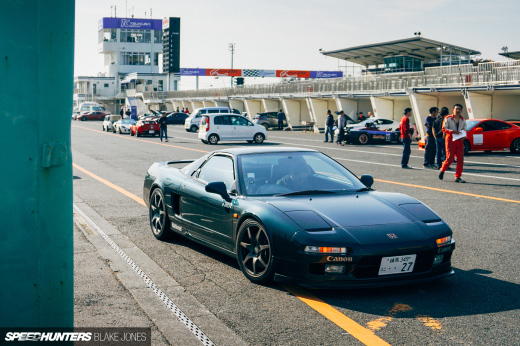 Nice one speedhunters_dino , Love seeing a quick NA car. Not that Im a Civic driver or a massive Honda fan, I do respect them and I think that is the perfect video to play someone if they ever say a Civic is slow. That would destroy any car you will ever own round a track.